The good news is that many vision problems can be prevented entirely by taking proactive steps to protect your eyes now. Berries: Berries (blueberries, blackberries, etc.) are rich in anthocyanins, which may help improve blood flow to your eyes and strengthen blood vessel walls, which plays a role in slowing the development of diabetic retinopathy (damage to the retina that occurs in people with diabetes). Brazil Nuts: One Brazil nut provides more than the recommended daily allowance of selenium, an antioxidant that may help prevent cataracts and macular degeneration. Excess weight is linked to a number of chronic diseases, and some of these, like diabetes, can be detrimental to your vision health. Obesity is also directly related to age-related cataracts, glaucoma, age-related maculopathy, and diabetic retinopathy.4 By eating right and exercising regularly, you can help maintain a healthy body weight and protect your vision health in the process. While the long-term effects of chronic eyestrain are unknown, in the short-term over-taxing your eyes by staring at a computer screen too long can lead to eye pain, blurry vision, headaches and more. It’s a good idea to take frequent eye “breaks” anytime you’re engaging in an activity that involves intense, prolonged eye focus (including hobby work, crossword puzzles, etc.). Generally, give your eyes a break and a chance to focus on something else at least once every 20 minutes. 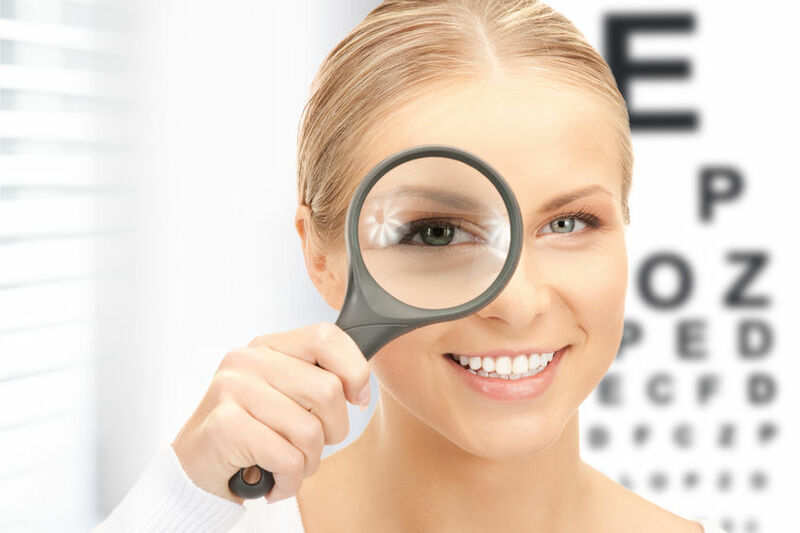 As you may have noticed, many of the cornerstones of a healthy lifestyle equate with better vision health as you age, and this is true even of strategies not necessarily listed here. For instance, proper sleep, relaxation and avoiding exposure to environmental toxins all impact both your overall and your vision health, so the more you adhere to a healthy lifestyle, the better your eyesight is likely to be. 3. Am J Ophthalmol. 2010 Jan;149(1):160-9. Epub 2009 Oct 1. 4. Survey of Ophthalmology 52, no. 2 (3, 2007): 180-195. 6. Sci Transl Med. 2011 Feb 9;3(69):69ra12. 7. Br J Ophthalmol. 2006 Dec;90(12):1461-3. Epub 2006 Oct 31.